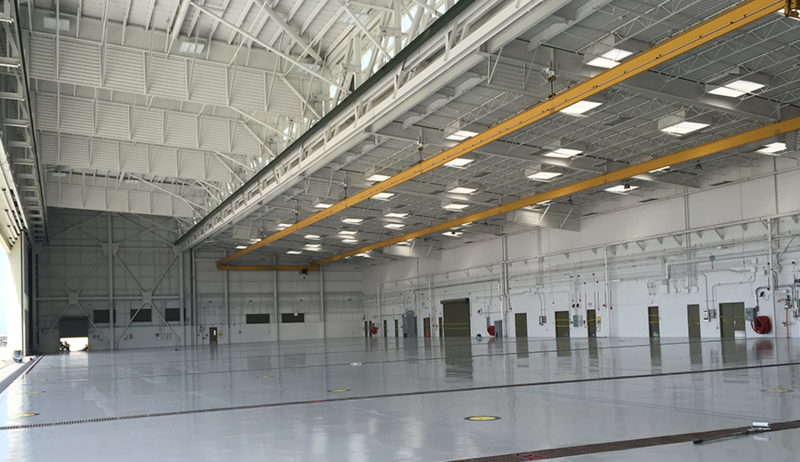 Soltek completed the renovation & addition to the P-181 Hangar 5 at MCAS, Miramar, this past May 2016. The project required the demolition of a portion of the existing hangar which was built in 1972. Soltek constructed a new 70’ extension which will be used to house a squadron of MV-22, Osprey aircraft. The new pre-engineered hangar superstructure stands 59’-0” at its highest point allowing full propeller rotation of the MV-22 aircraft. 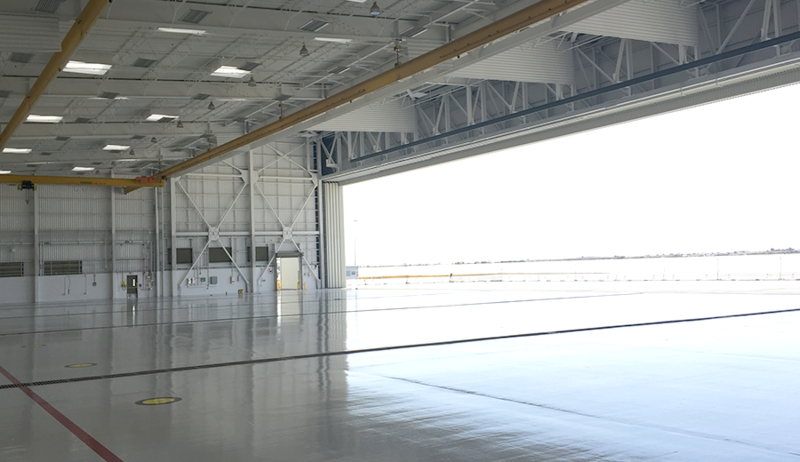 The project replaced the old AFFF (Aqueous Film Forming Foam) fire protection system with an under-wing trench nozzle system capable of covering the entire hangar floor, 45,000 SF, within 60 seconds of alarm. 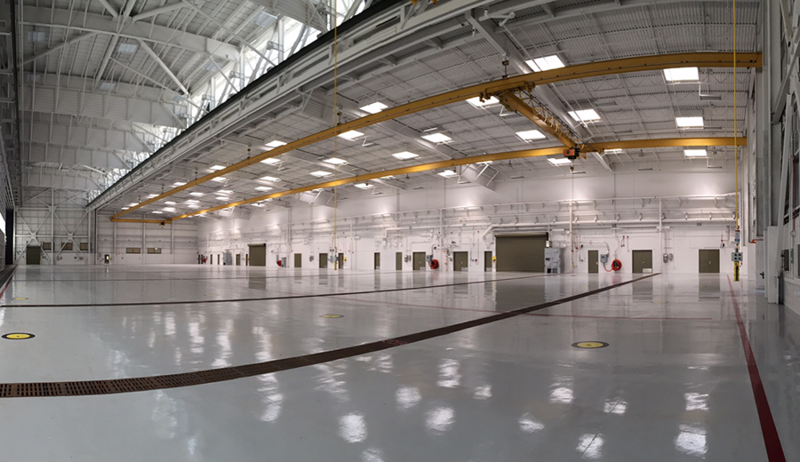 Additional hangar upgrades included; replacing the outdated electrical switchgear, emergency generator and compressed air system, adding 2 – 7-ton cranes, new epoxy flooring and new 22,400 SF photovoltaic (PV) system. 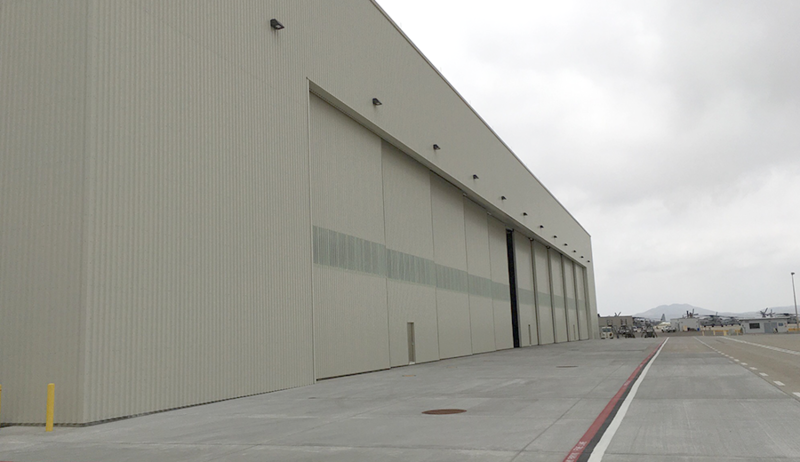 Complete construction of the hangar was completed while the hangar administration area remained fully operational.